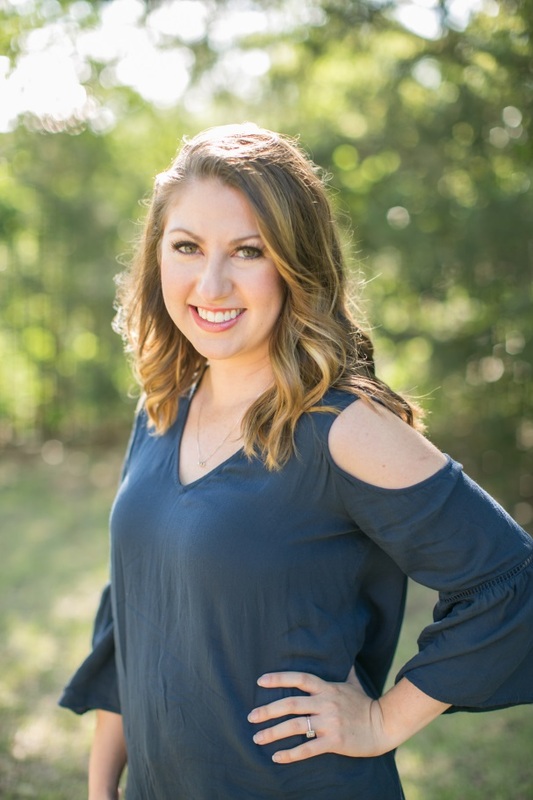 As some of you may or may not know, I have been working on switching over from Blogger to WordPress for a while now… It has been a major learning curve (still ongoing), but with the help of my tech-savvy husband, SouthernSweetandSassy.com is finally live! 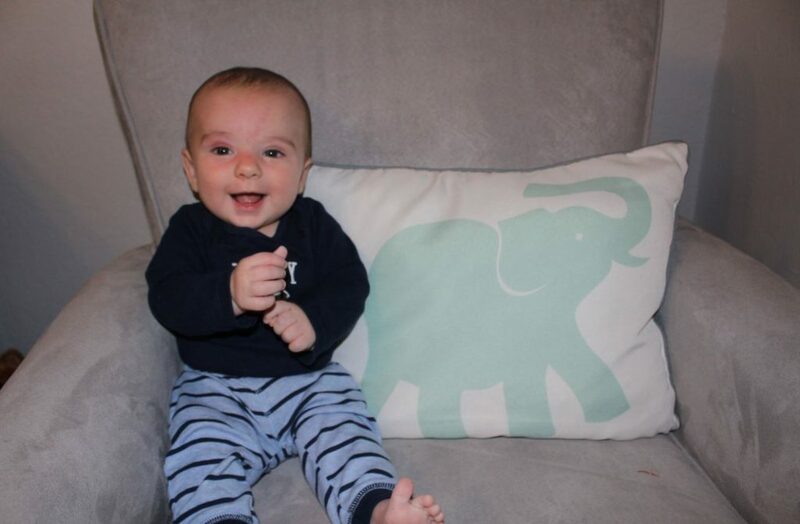 And now for the important stuff: Ben is now 3 months old! Oh, sweet Ben, you have been such a joy this month! Weight: Around 15 lbs, I’m guessing here! Diaper Size: We are solidly in Size 2 diapers. 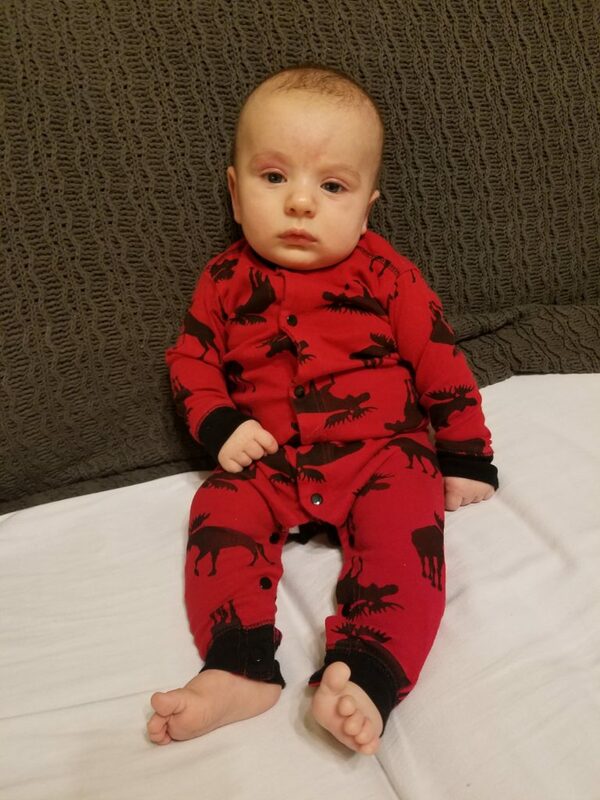 Clothing Size: 3 – 6 month clothing, leaning more toward those 6 month clothes! Health: Still as healthy as can be. *knock on wood* He still is stuffy sometimes and is so well behaved when it comes to trying to clear out his nose! Sleep: He has slept through the night a few times! 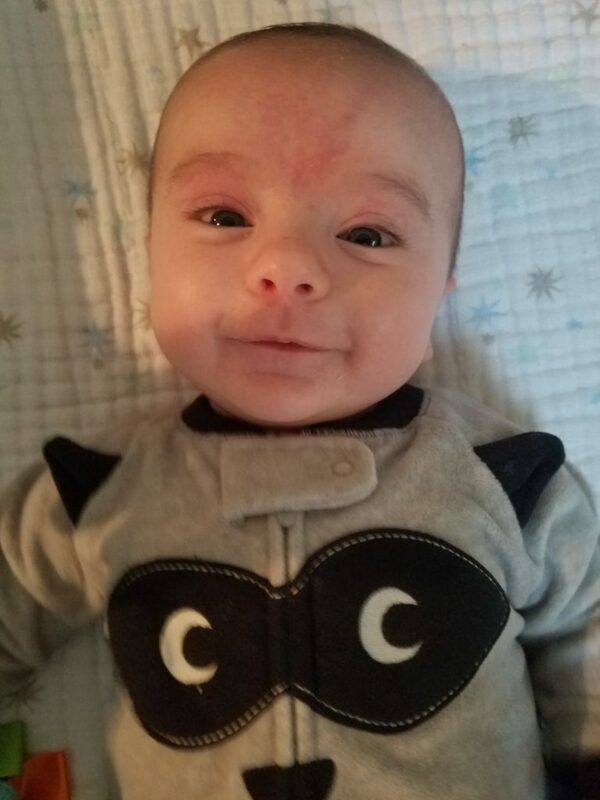 Recently, he has fallen asleep around 10 or 11 PM and will wake up smiling and talking around 5:30, have a few ounces and fall right back to sleep until around 7:30 or 8:00. I can’t complain! He sleeps well in both his rocker (which DIED this month…it was a sad day in our household) and his pack ‘n play when we travel. Diet: Still chugging those bottles like a champ. 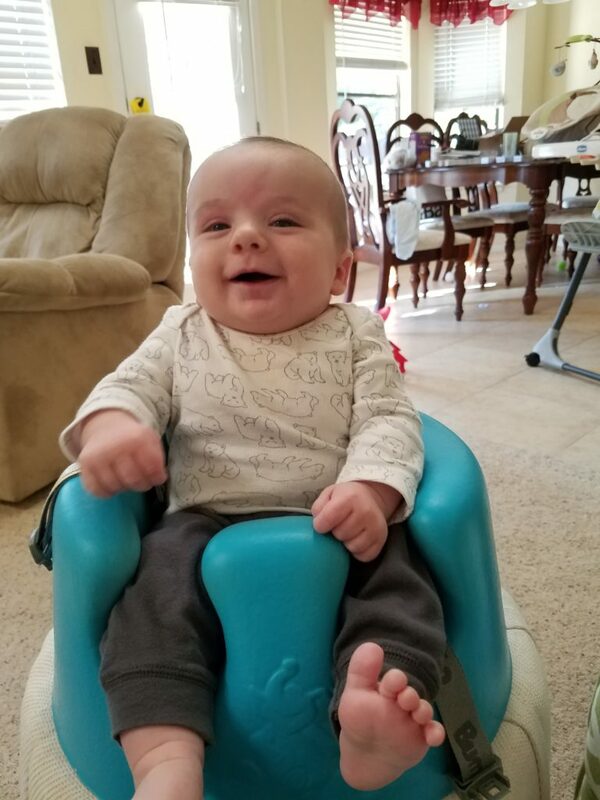 Loves: Social interactions – being held, talked to, smiles, laughter; he has started playing with the toys that hang from above on his play mat, bouncy seat and pack ‘n play. Dislikes: same from last month – being put down and being hungry. He isn’t a huge fan of tummy time but will sleep well on his tummy for nap times. Ben is such a great little traveler! He has taken two trips to College Station (about a 3 hour drive) and he has slept pretty much the entire way. He has attended two Texas A&M football games and a huge high school football game of Southlake Carroll vs. Euless Trinity. 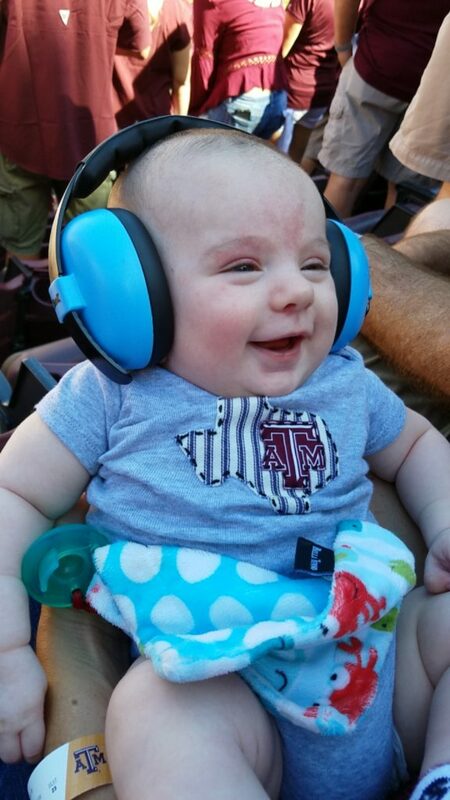 THis past weekend was the A&M/Tennessee game and he slept just about the entire (FIVE HOUR) game. 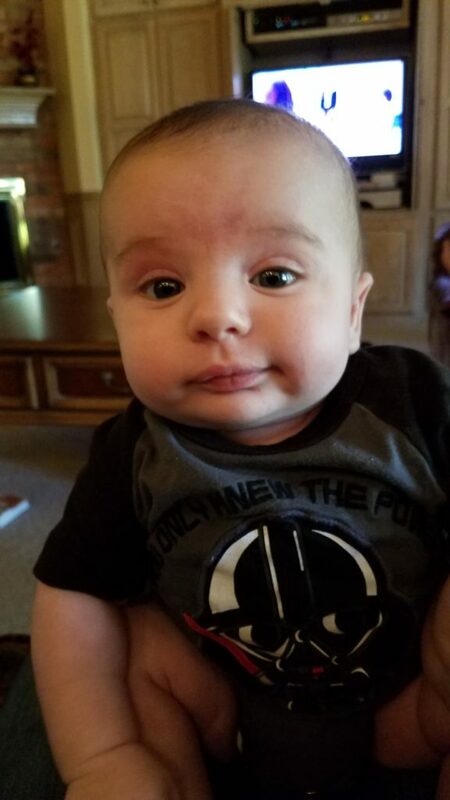 He is starting to watch Luke and follow him when Luke is playing. Ben has always been an alert little guy (just like his brother) but he is now really showing the control of his head and starting to show strength in his back while trying to sit up too. We are so excited to see what this next month has in store for us with this little man! We love you, baby boy!